On Wednesday, I did a gunshot-wound autopsy. On Friday, I was going into the morgue to perform another when I checked Twitter and saw this. Doctors across the U.S. and across medical specialties were already responding and sharing photos: their face shields spattered and scrubs drenched in their patients’ blood; more blood on the emergency room floor; and the chair in the consult room where a doctor would give the terrible news to another grieving mother, day after day. I was furious. How dare the NRA tell doctors to “stay in their lane?” The NRA swerved into our lane in 1996 by pushing the Dickey Amendment to limit gun-control research. They lobbied for a Florida physician gag law that restricted doctors from talking to their patients about gun safety. And, this NRA tweet was a response to an American College of Physicians position paper written by doctors to guide others on the best practices of patient care. I couldn’t help myself; I shot back. Then, I shut off my phone and went into the autopsy suite. Four hours later, I got out and discovered that my post had gone viral. In my email, there were interview inquiries from CNN, NPR, ABC News, and other media outlets. The most common critiques lobbed at me focused on how removing bullets doesn’t make doctors experts on guns or gun policy, followed by facile arguments that assumed I was advocating for a weapons ban. I am not. I sent out that hot-headed tweet because I fervently believe that physicians have a right and a responsibility to speak out about gun violence, and to address the effects of that violence by doing what we do best — comprehensive research and the application of sound science stemming from that research. Gun violence is a public health hazard. When one child in a school commits suicide, and others follow suit, or when a mass shooting instigates others, we call it, accurately, contagion. Epidemiological concepts apply to gun control. Strengthening gun laws in a bounded region does not improve firearm mortality outcomes if guns from a nearby area with weak laws can be brought in. Gun laws have to be geographically broad and universally enforced to be effective, just like with vaccinations. Doctors and scientists have a responsibility to speak out about how to keep our patients safe. We are trained to interpret large-scale studies and apply the findings directly to our individual patients, a mode of practice called “evidence-based medicine.” In contrast to the NRA, we don’t shut down research if we think it’s limited in scope, flawed, or biased. We fund and carry out a better study. Tens of thousands of us have signed an open letter to the NRA advocating for more research into gun violence. Doctors embrace technology and safety innovation. Furthermore, medical professionals are on the front lines of identifying and reporting dangerously psychotic people who should not own or have access to guns. I urge you to add your name and donate to fund sound and reliable research. I also urge you to sign the Brady campaign petition to demand Congress to enact comprehensive legislation to curb gun violence. We doctors need to put our money where our mouths are and fund coordinated advocacy. We also need to work within our specialty organizations to magnify those lobbying efforts. The majority of Americans support some restrictions on gun access and ownership, especially for those who are mentally ill or violent. We need to advocate for the expansion of Extreme Risk Protection Orders (or ERPOs) which allow family members and law enforcement to remove guns from those who are in imminent danger of harming themselves or others. Doctors have a powerful lobby in Washington, which acted to protect the interests of our patients during the passage of the Affordable Care Act. It’s about time we joined those patients, the victims of gun violence, in fighting for effectual changes in our gun laws. Judy Melinek is a forensic pathologist and CEO, PathologyExpert Inc. 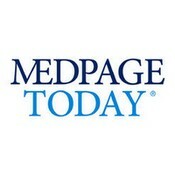 This article originally appeared in MedPage Today. In health care reform, what’s the ideal role of government? What do we want our health care system to look like? How can we fix the research bias from industry sponsorship? Policymakers: Put down your carrots and sticks. They will not work.